A Friday terror attack against a police bus outside capital Manama left one police officer dead and eight agents injured, the interior ministry announced Sunday. The ministry imputed the attack to a terror group, which remotely detonated a bomb causing shrapnel holes through the bus. Authorities have launched an investigation into the attack whose authors have not been identified yet. The small monarchy has been facing insurgency since 2011. The country was rocked by protests staged by the population Shia majority, who complain about their marginalization by minority Sunnite. 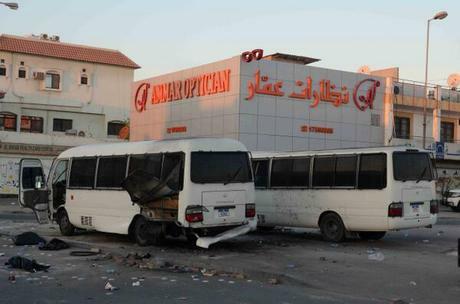 Five security forces were wounded this month in a bomb blast when protecting a ceremony in the west of Manama. Prior to that attack, one policeman was killed in June in a blast, in the Diraz home village of Shia Muslim spiritual leader, Ayatollah Isa Qassim. Two other policemen were injured in the attack.